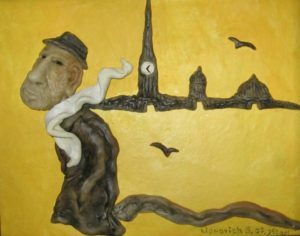 Vladimir and Semion share some of these common themes; both were born in the same city but one is now an artist in Israel, and the other, in US. They will be sharing a studio for one day. Enjoy the quirky & soulful characters brought to life by these two artists. We promise: beautiful art, fun people and limitless wine. You promise us to be there?